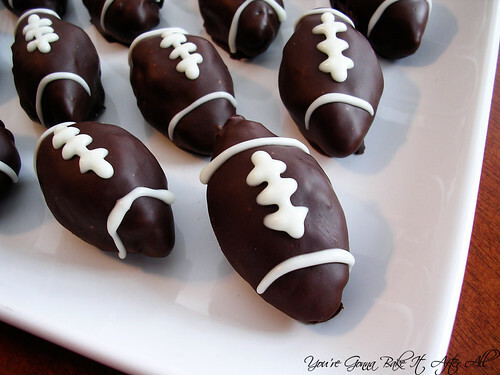 Football season is over, much to my husband's dismay, but I wanted to share some pictures of the football truffles I made for Super Bowl. I followed Bakerella's instructions and, as is the case any time Oreo truffles are involved, they were greatly appreciated! I loved making them! See my truffle tips for some hints on truffle making! 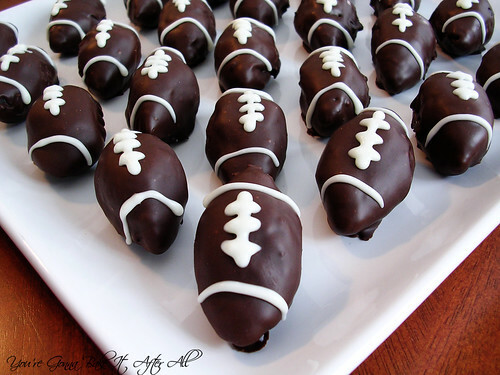 holy lord, OREO FOOTBALL TRUFFLES!!!!! I hope the Super Bowl is happening again next month when we come visit! Sooooo adorable! 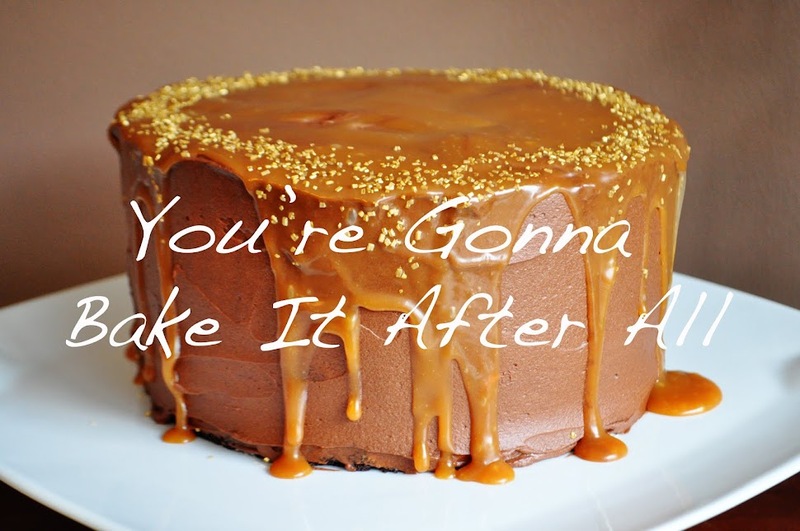 Anyone would be the hit of the party if they made these--love em'! So cute - I love them!